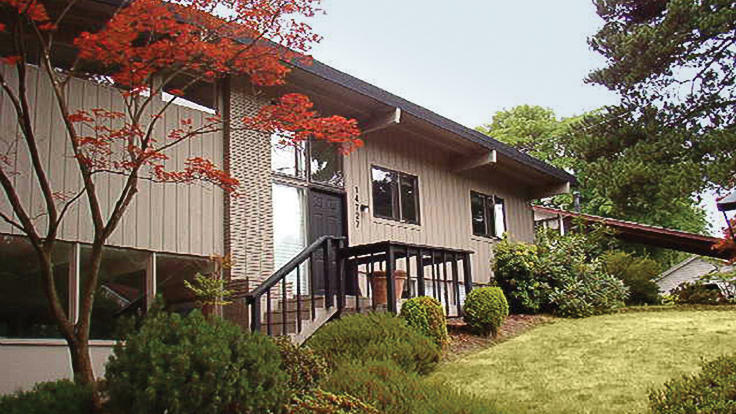 In total, the home's square footage doubled to a still-modest 1,200 square feet. The two-bedroom house now feels more like a hunting lodge than a cottage, thanks to the warm wood-and-neutrals palette and a few design tricks that make the space appear even larger than it is. For instance, the living room's ebony-stained cedar fireplace wall rises 20 feet to the ceiling, serving as a striking view from a lofted home office. 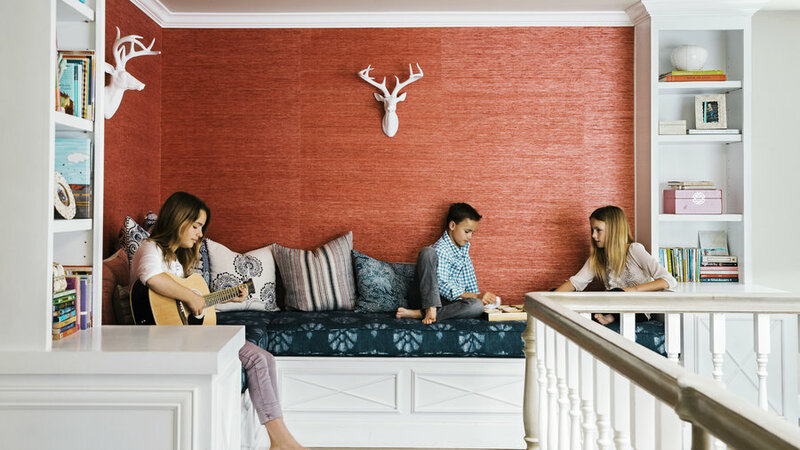 Green design was a given when sustainable contractor Jeff King and his wife, Margot Beall, started remodeling the San Francisco Edwardian they share with their kids. It needed a kitchen update, a family room, and a more open layout. But first, they had to make room for it. 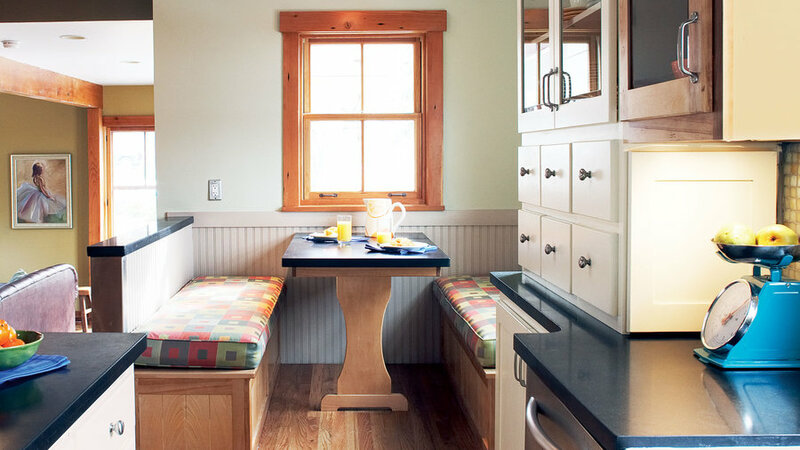 An 11½-foot addition to the back of the house let them lengthen the galley kitchen. They also gained a modest family room that opens directly to the backyard, and a master suite with a deck and rooftop garden on the top level. 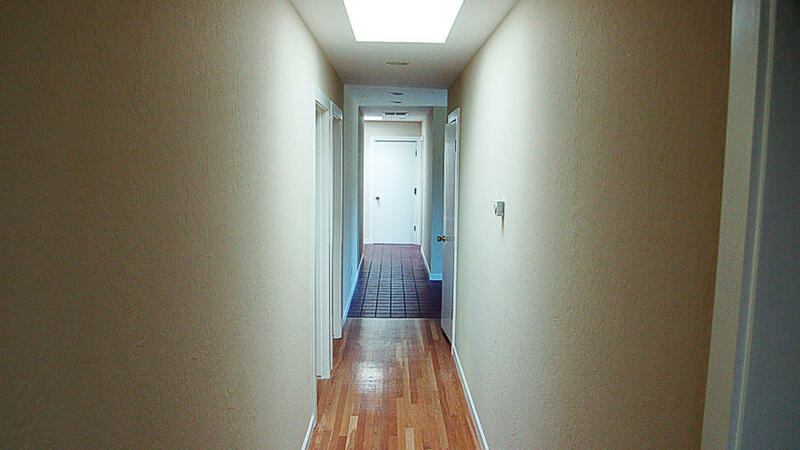 Behind the scenes, King reworked the home’s infrastructure for maximum energy efficiency. For Randy and Debbie Hild, the journey to painstakingly remodel their new home in Laguna Niguel, CA took four years. 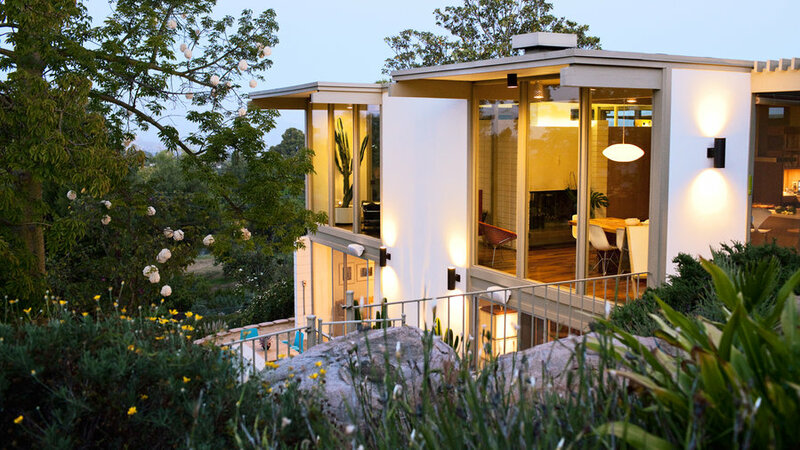 They eventually found one that had been designed by George Bissell, a lesser-known contemporary of Joseph Eichler’s. Designer Mason St. Peter saw potential in the existing cathedral ceilings, impressive fireplace, and the number of windows already in place. 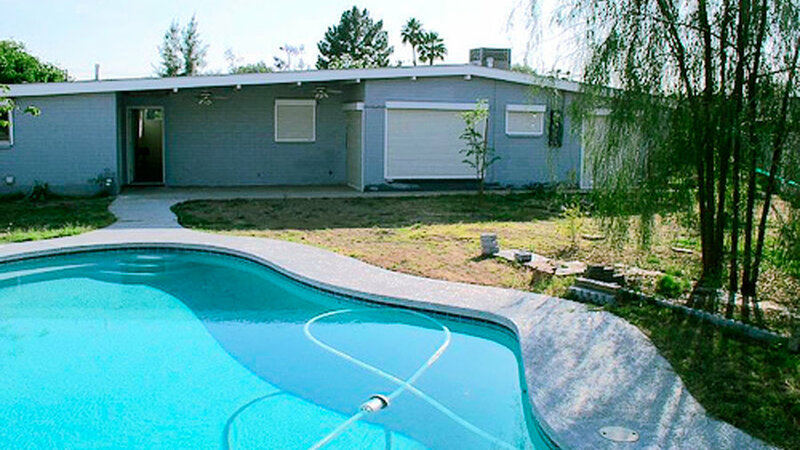 He left the front of the house, bedrooms, and bathrooms alone, but removed the wall between the living room and kitchen, and extended the newly open room into the backyard, taking the house from 1,700 square feet to 2,000. He also convinced Randy to push the ceilings of the addition up to 13 feet to take advantage of the light from that side of the house. With three previous home renovations under his belt, Randy had a clear idea of what he wanted for the kitchen, centering on a large island. This one is 6 feet by 12 feet and steps away from a built-in desk. Berkeley residents MaryJane and Bob Pauley loved their early-1900s Craftsman, but while rich in charm, it lacked modern conveniences. In desperate need of more storage and more room to move, they partnered with designer Alex Bergtraun (Studio Bergtraun, studiobergtraun.com) to remodel the home. 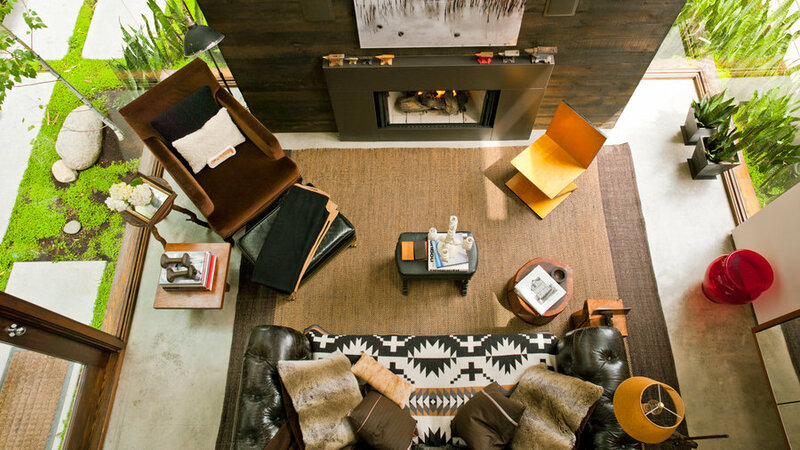 The mandate: Stay true to the house's history while using modern materials. 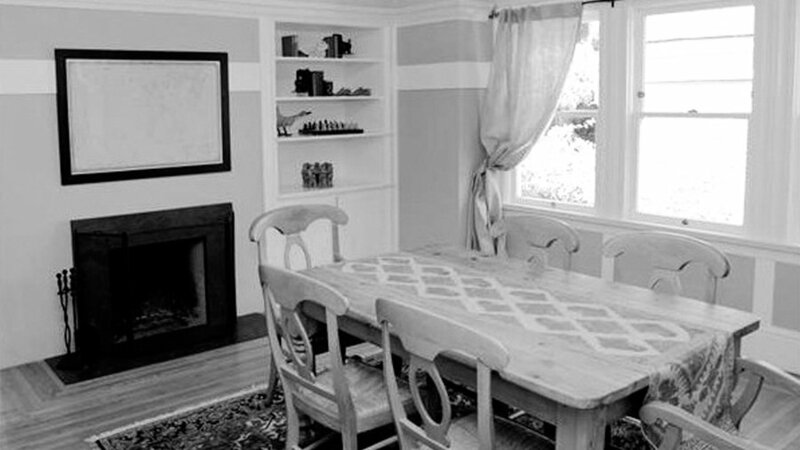 Before the renovation, the dining room (pictured) had limited storage space and no buffet area; narrow doorways made entertaining difficult. 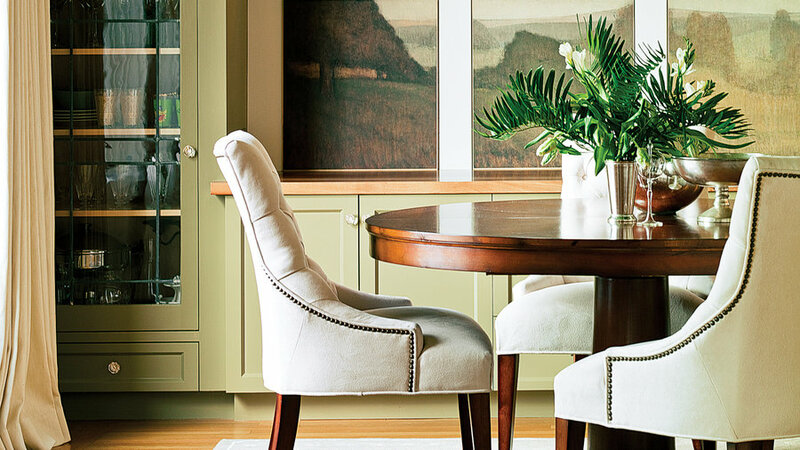 The remodel bestowed the dining room with a built-in sideboard and wider, open doorways. New cabinets were constructed, while old ones were repurposed. Originally located on another wall, the glass-door cabinets now bookend a madrone-topped sideboard. When Daniel Thomas purchased an 1888 Victorian in Portland, it was a run-down version of its former self. “Eleven-foot ceilings were hidden under low drywall. It was stripped of ornamentation, save for some windows and a few doors,” says Thomas. Worst of all, it still had the tiny, fractured rooms typical of the era, so it brought in almost no natural light. 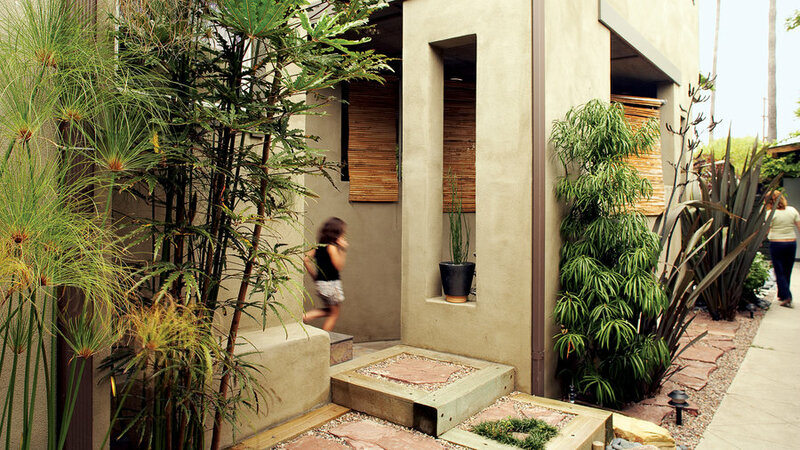 Thomas, co-owner of green building firm Hammer & Hand (hammerandhand.com), decided to banish the shadows in an unconventional way—with a three-story tower that functions as a light well at the back of the house. 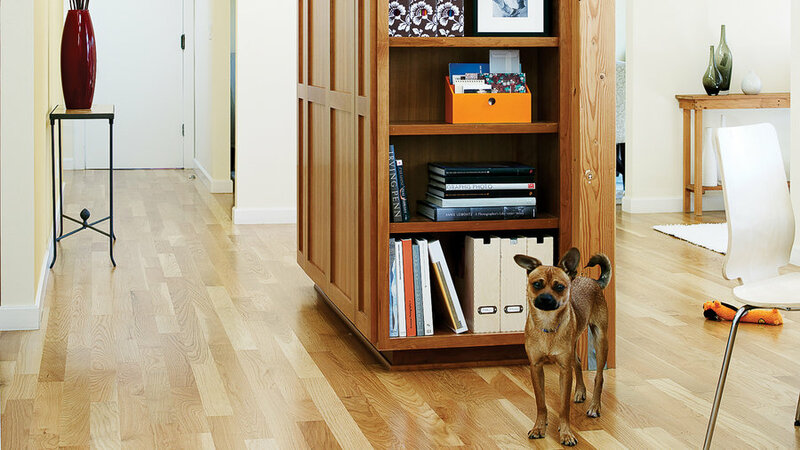 The 10- by 10-foot tower occupies a small footprint, but its brightening effect is no small feat. Sunlight from 11 windows facing north and east travels through an open loft space above the kitchen to the main floor’s living spaces. More new additions mix with restored historical details to help the old home feel ahead of its time. 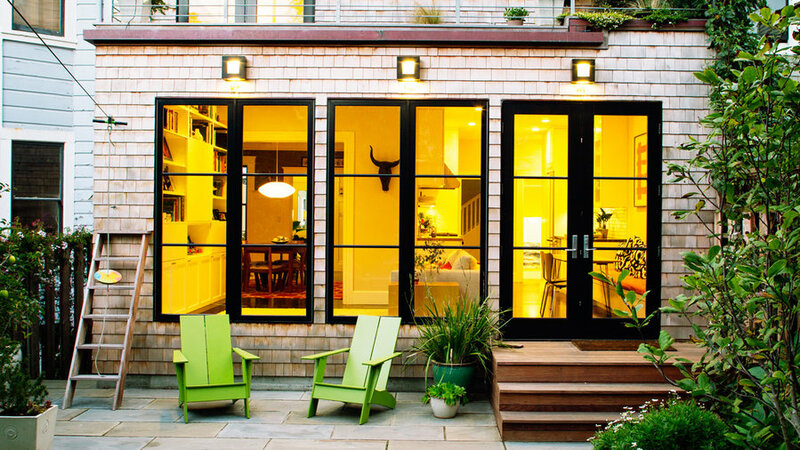 When Leah and Chad Steen bought their Seattle home, the property was far from picture perfect. “There was no landscaping; the previous owners even left us a note about the sad-looking Charlie Brown tree in the front yard,” says Leah. “But the house had tons of character, and there weren’t holes in the ceiling, like other places we’d seen.” The early-1900s house’s footprint (1,300 square feet) is small, and the high sticker price left little cash for decorating. But limits only bred creativity. “Designing a small space means you can be discriminating, and vibrant decor updates don’t have to be pricey, just imaginative,” says Leah. Being imaginative included making strategic decisions about color. 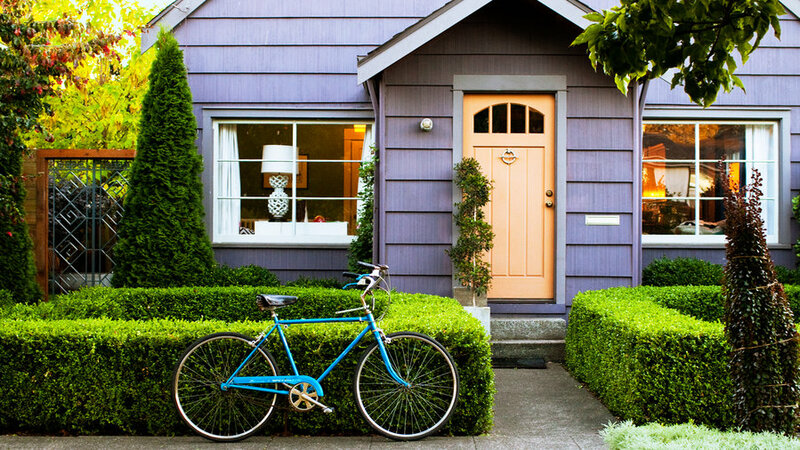 More vibrant shades of the exterior's contrasting hues gave it pop, while the front yard—once patchy grass and a parking strip—is now defined by bright boxwood, comple­menting the purple paint. 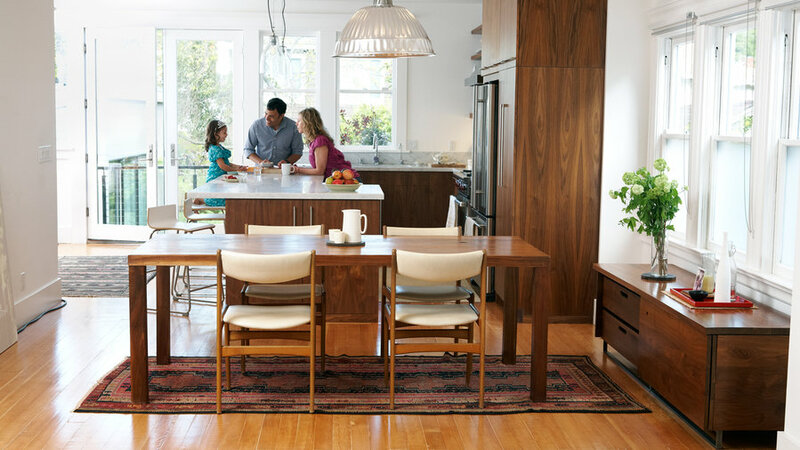 When Joan and Frank Maxwell decided to update their 1970s rambler in Orinda, CA, they weren’t thinking beyond the kitchen. 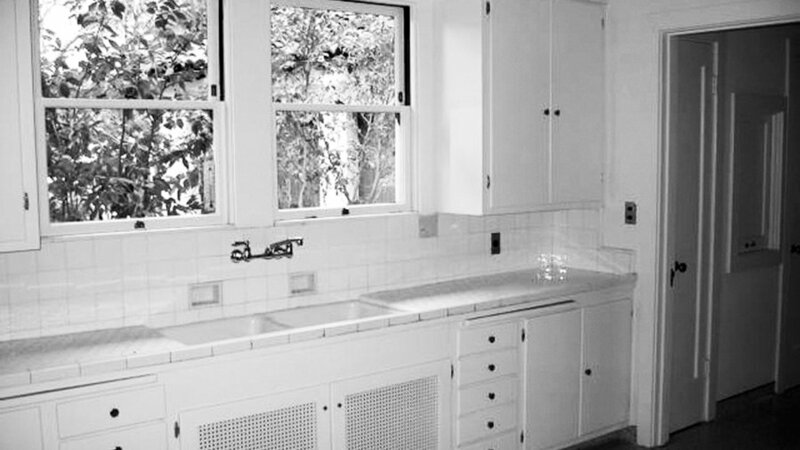 Known for her elaborate dinner parties, Joan was tired of cooking in such a dark, cramped space. 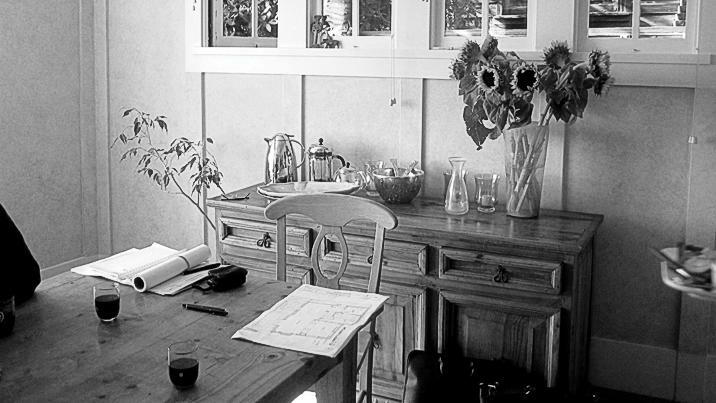 Architect Lara Dutto had a solution beyond new kitchen cabinets and appliances. 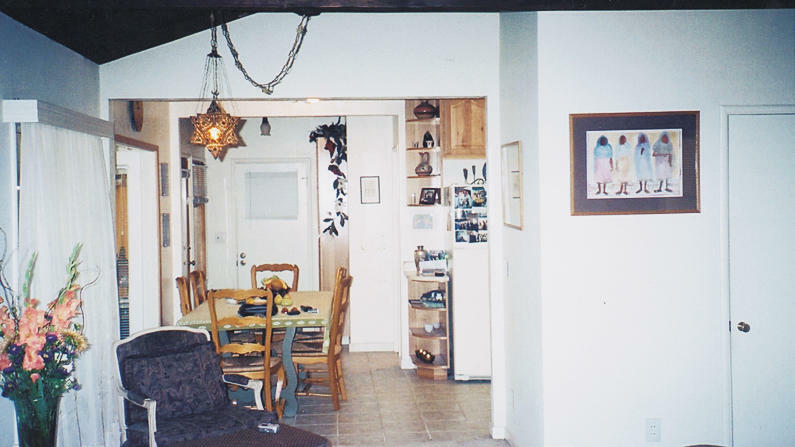 The second floor—where all the main living areas are located—“was broken up into a bunch of small rooms under this fantastic vaulted wood ceiling,” Dutto explains. 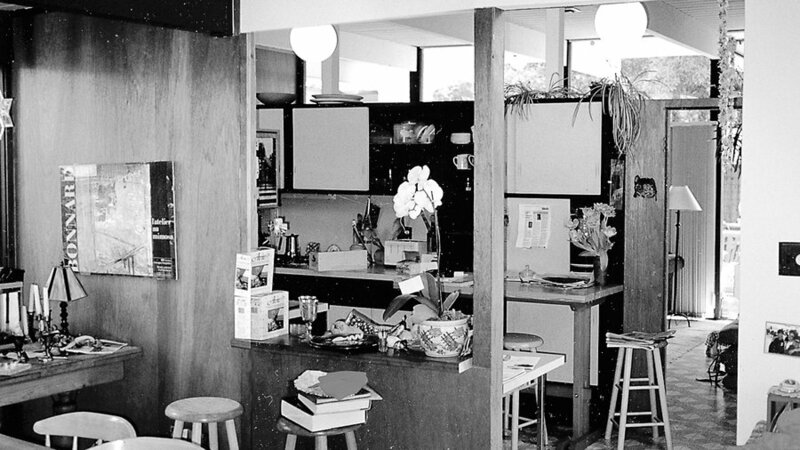 To stretch the light from the living room all the way into the kitchen, Dutto removed the dining room walls, expanded the kitchen entry, and created a resin panel wall hanging between the spaces that allowed light to filter through and brighten the small kitchen and living room (pictured). 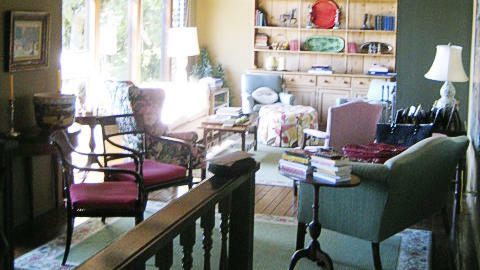 In addition to letting in more light, the remodel brightened the living room by way of colorful additions. 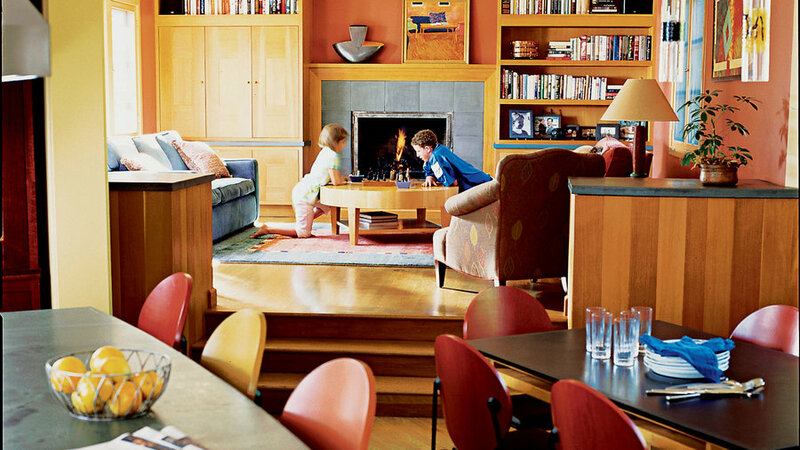 Most of the living room furniture was picked with architect Lara Dutto’s help. The new sofa was upholstered in a neutral charcoal gray. Complementary color accents in yellow and blue unite the leopard-print ottoman and pair of polka-dot chairs. 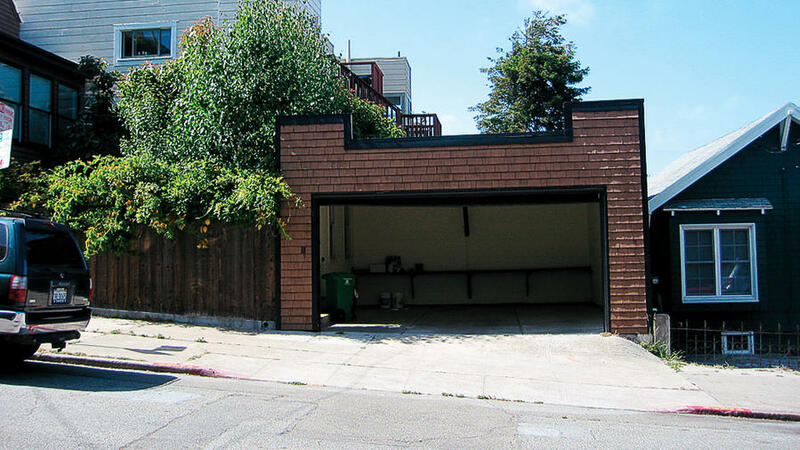 Maxi Lilley and Eric Faurot's Oakland house was in a great location, but the 1910 build was small. An overhaul resulted in a spacious family-friendly ground floor and an entirely new second floor. 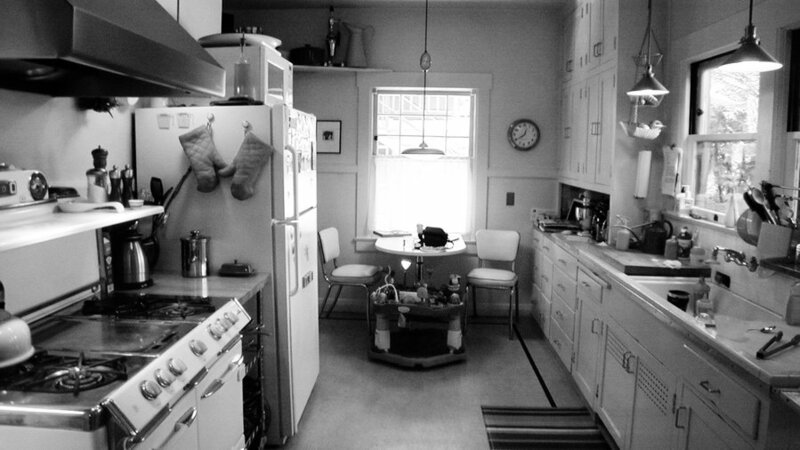 The original kitchen (pictured) had tiny windows and a galley layout made the space dark and bulky, but it was transformed into a scene-stealer. The only remnant of the old kitchen, the 1957 O'Keefe & Merritt gas stove, sets the tone for the room. The homeowners chose easy-to-clean concrete counters and, as the backsplash, ModDotz Marshmallow penny round tile (modwalls.com). A breakfast nook was also added to the space. Formerly a shabby 1970s A-frame near Lake Tahoe, this 2,500-square-foot home "was the kind of place you'd find neon beer signs and Levitz furniture," says the cabin's current owner, Jeremy Kidson. 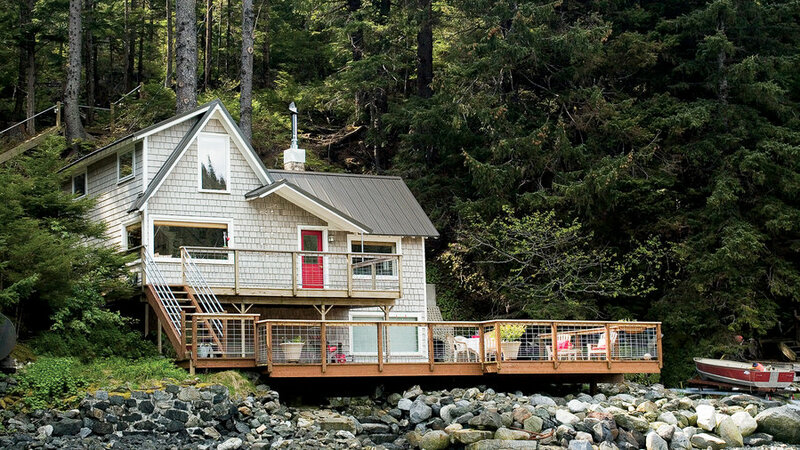 Still, he was looking for a house in the area, and when he saw how the cabin sits right on the lakefront, he gave in. "You can fix any ugliness in a structure, but you could never replicate this setting," he says. As part of the remodel, the cabin's great room got A+ treatment. 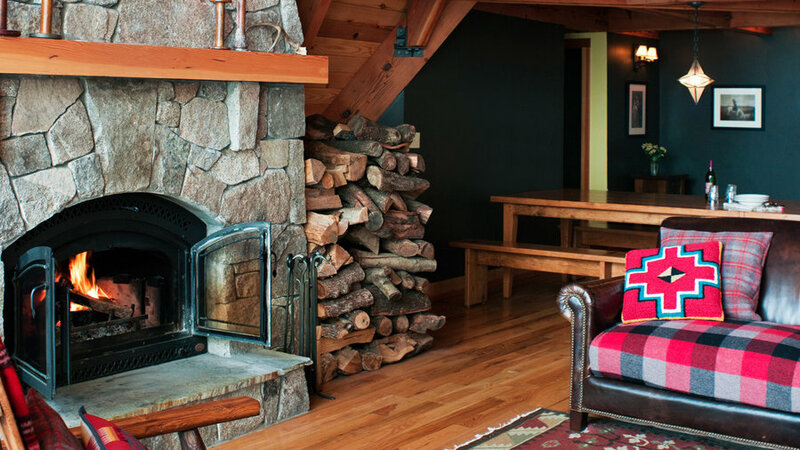 The rafters and beams were all stained black, a disco-era fireplace that blocked the view was torn out, and a the new hearth made of Sierra white granite was installed. 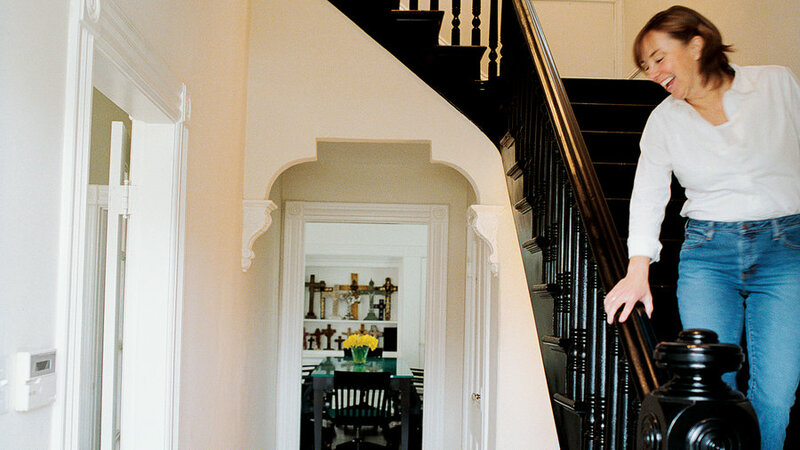 When interior designer Jill Soderlund and her husband, Clark, bought their house in Manhattan Beach, CA, it was a time capsule—and not in a good way. 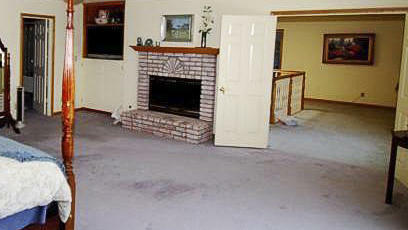 The home had been untouched ever since it was built in 1987. Says Soderlund, “I wanted to change...every finish. Every wall,” she says. 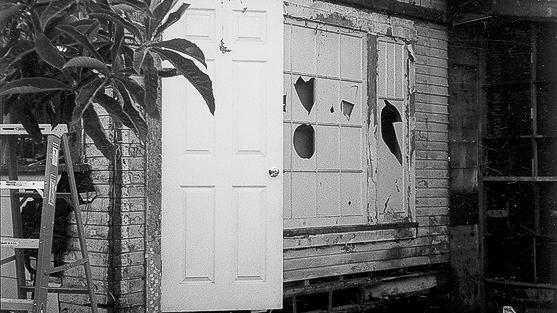 “But none of that was structural, so it seemed like it would be easy to fix.” She was right. Her cosmetic updates turned the ode to the ’80s house into a casual, colorful family home, including transformations small and big—such as completely changing wasted ample space. “The way the house is built, the upstairs landing [pictured] is nearly the size of a bedroom,” says Soderlund. Portland-based architects Melody and Brian Emerick (emerick-architects.com) were visiting Seaside, Oregon, when they passed an abandoned beach cottage that was up for sale—and priced as a teardown. 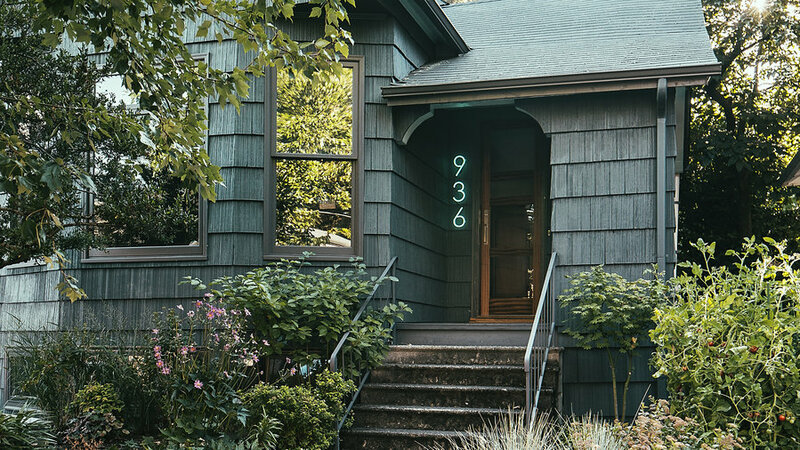 The couple bought the 1910 house and began restoring it to its original glory, which meant leveling the foundation, correcting an unsightly addition, redoing the façade, lifting the attic ceiling to create a master suite, and adding new windows throughout. 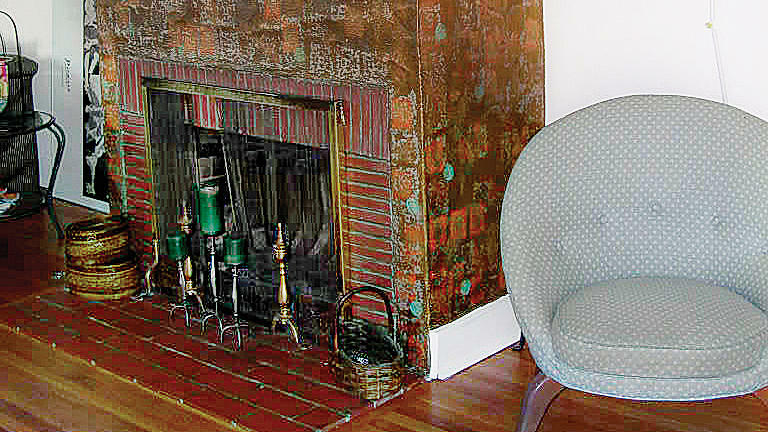 The Emericks ripped out the red carpet in the living room, refinished the original fir floors, painted the walls cream, and removed teal tile from the fireplace surround to reveal beautifully aged brick, which better fits the home’s age. 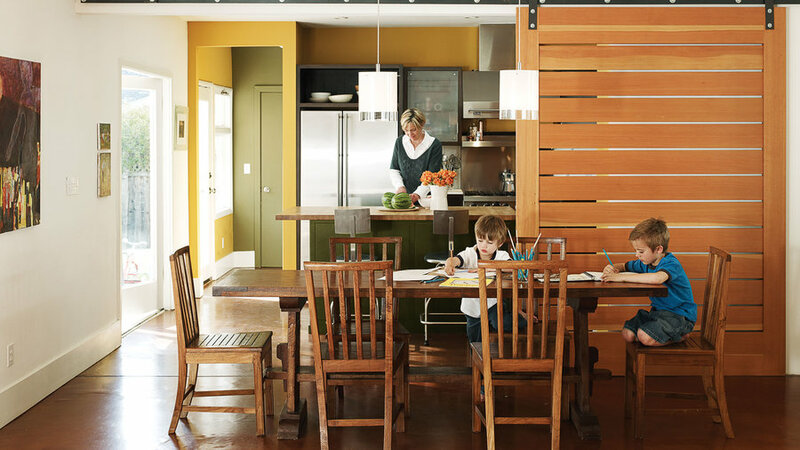 When this homeowner returned to her native California from New York, she missed the openness of her family's former loft back East. 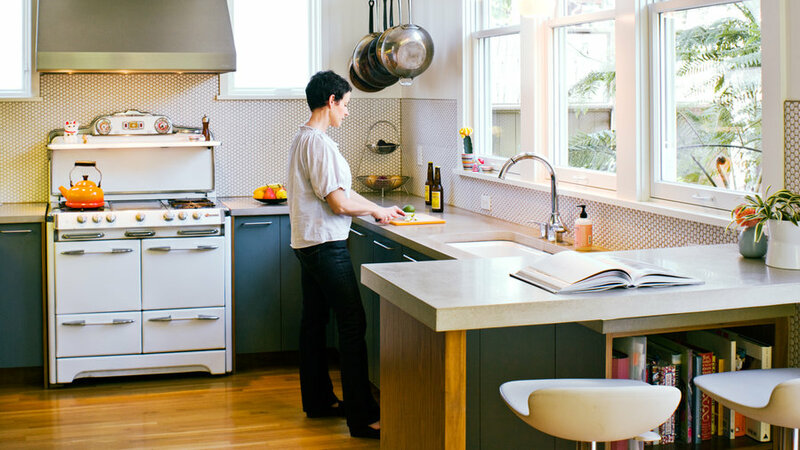 So she knocked down a few walls (including those surrounding the former dining room, above) of her Oakland Craftsman-style home to create a more spacious feeling. 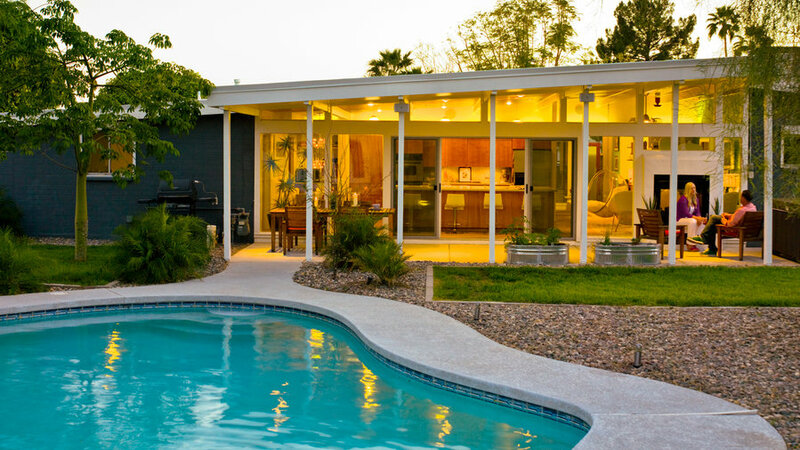 Obsessed with retro style, the homeowners of this Arizona ranch were determined to keep the 1960s vibe of the house, but with their own spin. 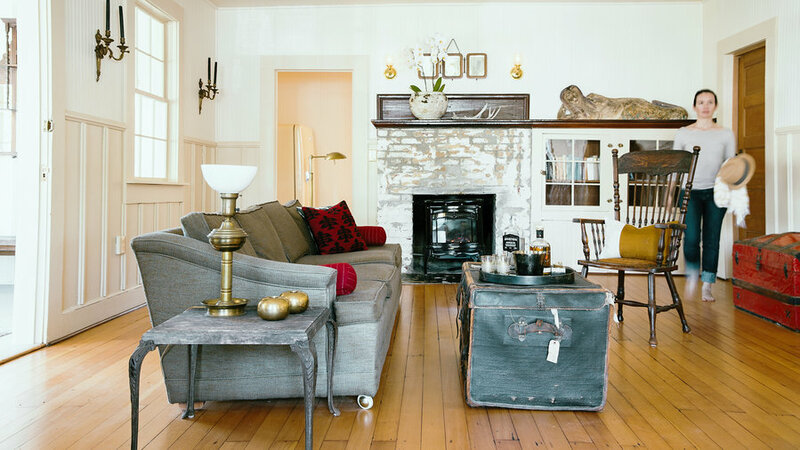 Keeping on a tight budget, they replaced the back wall of the house with windows to open up the space, and decorated inside with a mix of new and secondhand pieces. 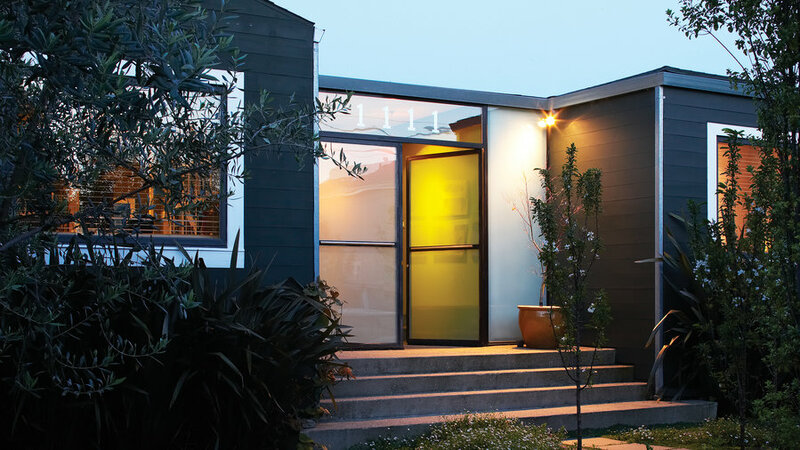 The new owners of this 1930's home in Oakland opted for a careful renovation that updated the house but preserved its character. 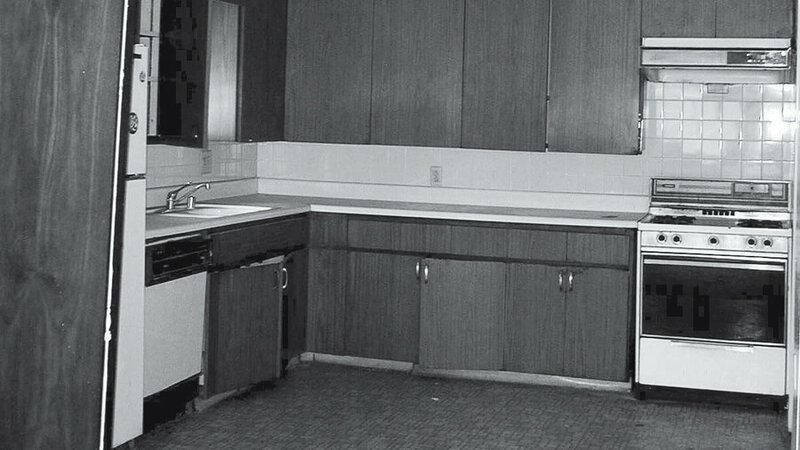 As part of the kitchen makeover, cabinets were replaced using the same footprint; the countertops and walls were resurfaced, appliances updated, and plumbing revamped. See what they did next. This 900-square-foot house in Santa Monica was billed as a teardown when designer Julie Hart first saw it. Rooms like this living area were cramped and dark. The first thing she did was climb to the attic to make sure she could raise the ceiling. And indeed, she could. The living room is now a colorful new gathering area. Light floods into the room and reflects off the white walls and mantel. Designer Julie Hart sparks the interiors with colorful accent pillows, throws, and pottery that she coor­dinates with a rotating collection of art. 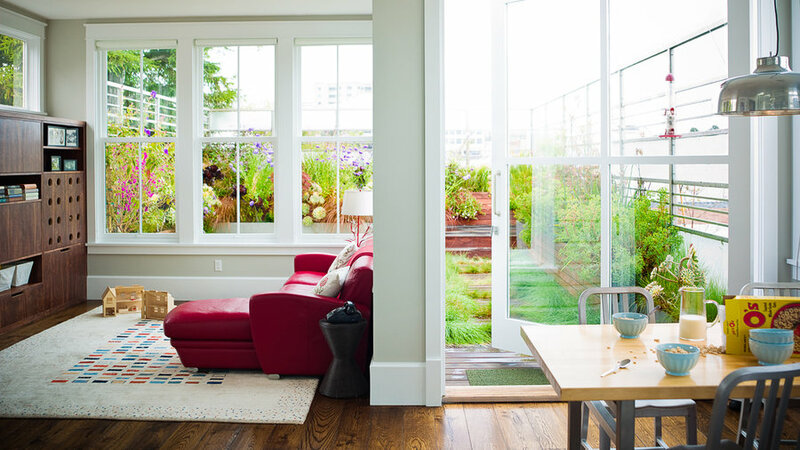 From the downstairs office and family room, glass doors led to an outdoor patio and beautiful gardens. A glazed breezeway and sliding glass doors opened onto shady decks that abutted the hillside of granite boulders and meandering pathways. 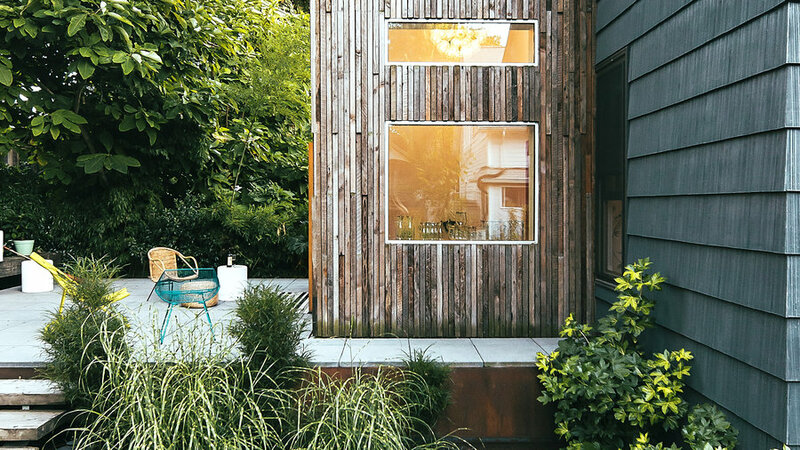 A sensitive update by local architect Carmen Pauli and owners Jora and Bryan Vess kept the essential character of the 3,178-square-foot residence while incorporating modern eco-friendly materials, including Brazilian teak floors and ipe wood decking. 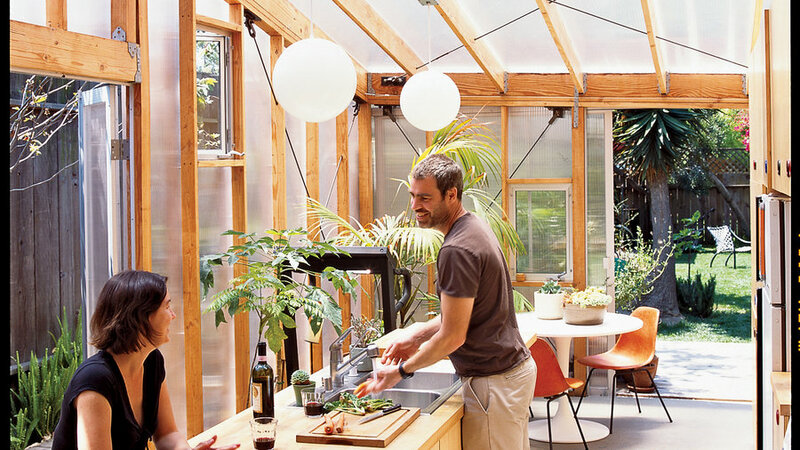 Cramped rooms, including this eating area on the third floor of this San Francisco house, were removed to make way for open living spaces and garden. 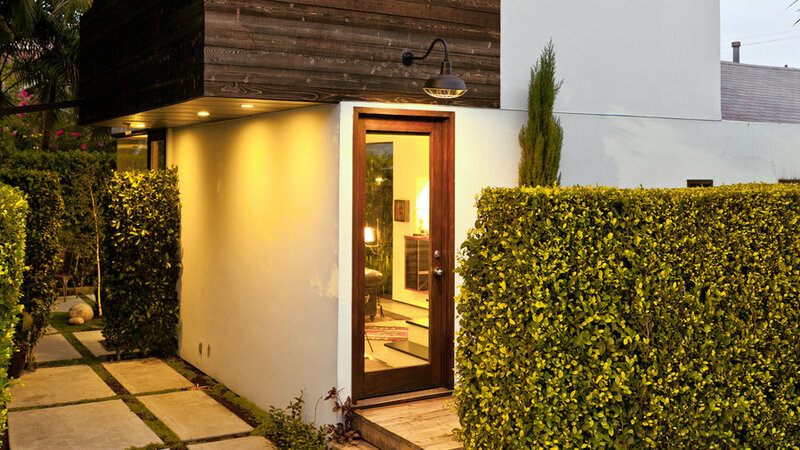 The renovation reduced the house's total square footage from 3,700 to 2,997 ― an eco-friendly move. The owners replaced part of the Victorian's top floor with a green space, opening the interior to natural light, views, and family-friendly flow. 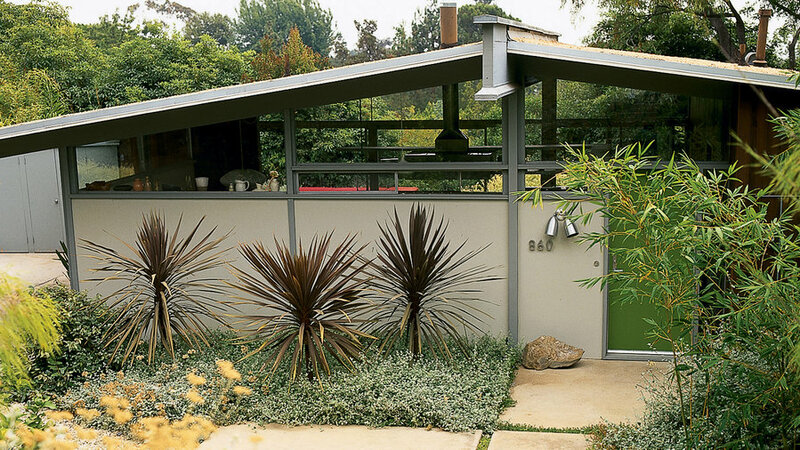 A poorly placed low window marred the façade of this house designed by A. Quincy Jones ― one of the principal architects for developer Joseph Eichler, the father of the mass-produced Eichler house of the 1950s and '60s. After the remodel, privacy is restored. The chartreuse door is inspired by the color of new-growth ivy, a plant that had overrun the garden. 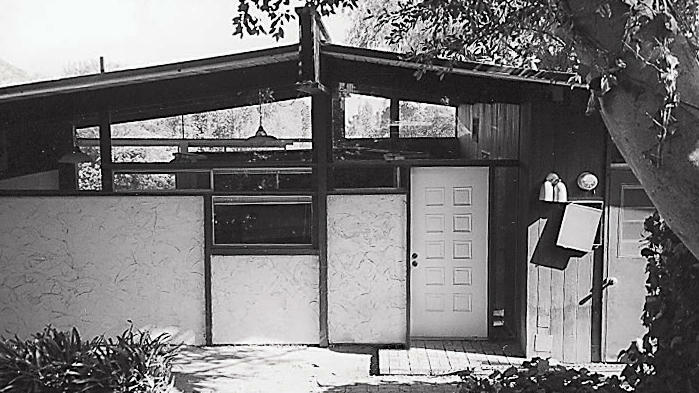 Like many ranch houses, the home of Bill Welch and Maren Christensen in Portola Valley, California, had a long central hall that blocked light, views, and easy access between major rooms. 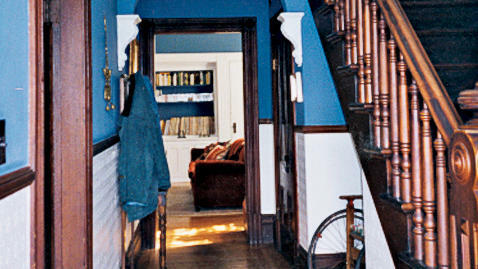 Architect Mark Pearcy replaced part of the hallway with a series of columns and beams, which allows each area to borrow space from the others. 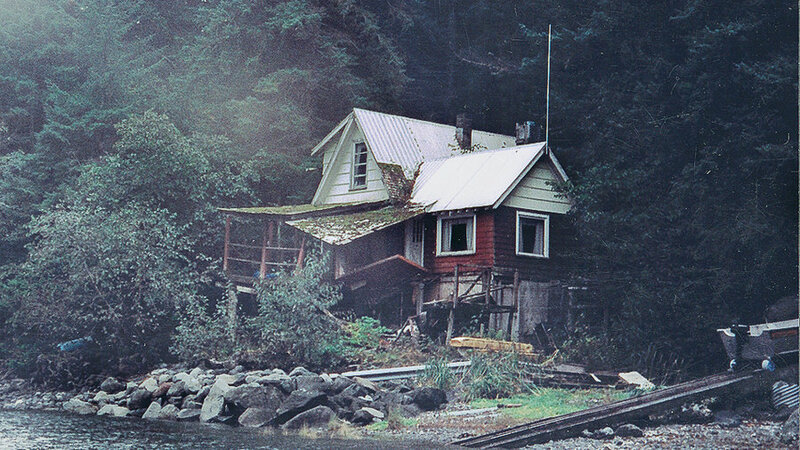 The cabin ― abandoned for six years ― was literally falling apart when the Jenkinses purchased it. 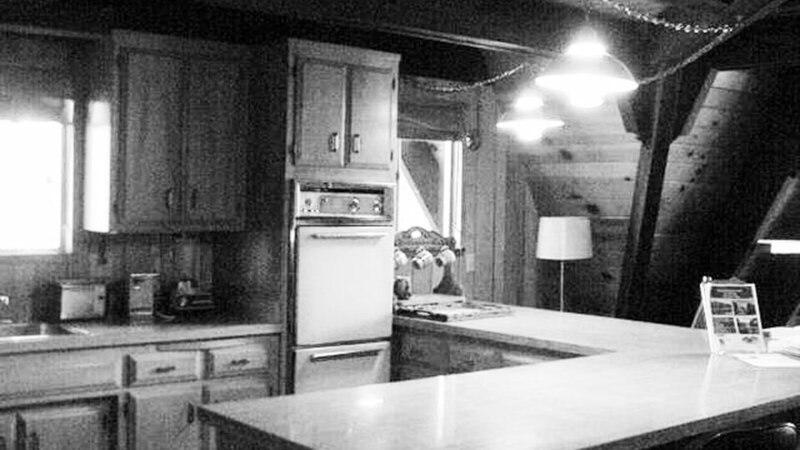 The Jenkinses’ revamped cabin makes the most of its small scale. 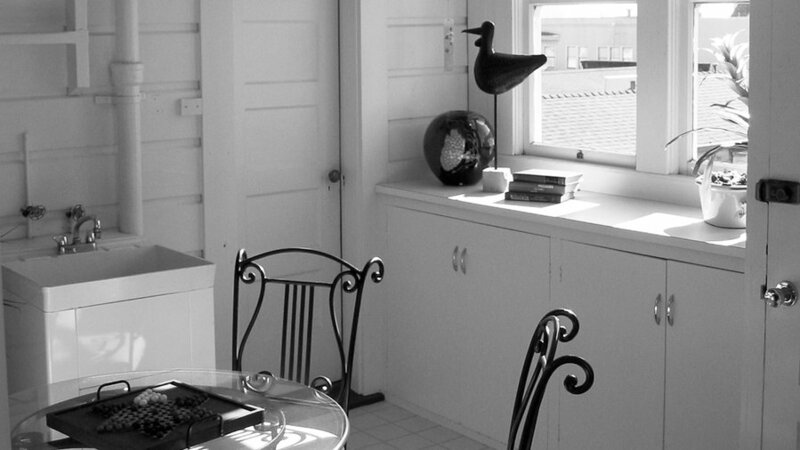 The small kitchen had an awkward space for dining and was hidden from the home's main living areas by a closet wall. Now a sliding barn door allows the kitchen to be hidden for formal dinner parties and serves as a place to hang holiday greeting cards. 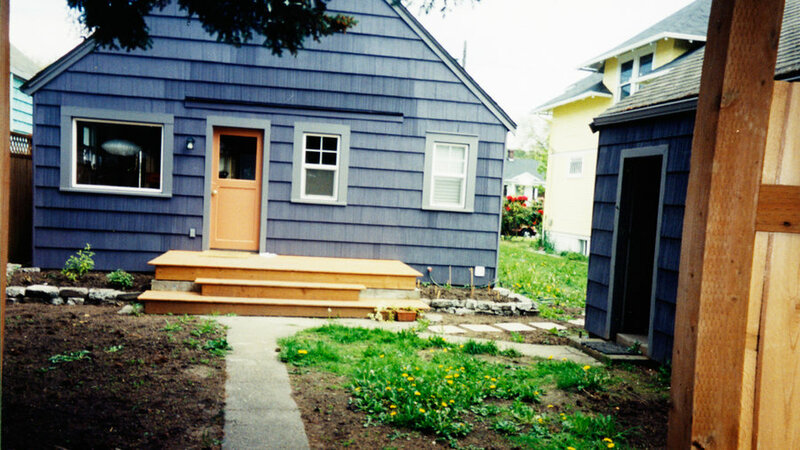 The formerly blank façade had cramped stairs along one side and a front deck that was exposed to the weather. Following an exterior makeover a broad stairway welcomes guests to a protected landing while an expanded refaced chimney and lower wall both clad in buff-colored manmade stone further define the entry. 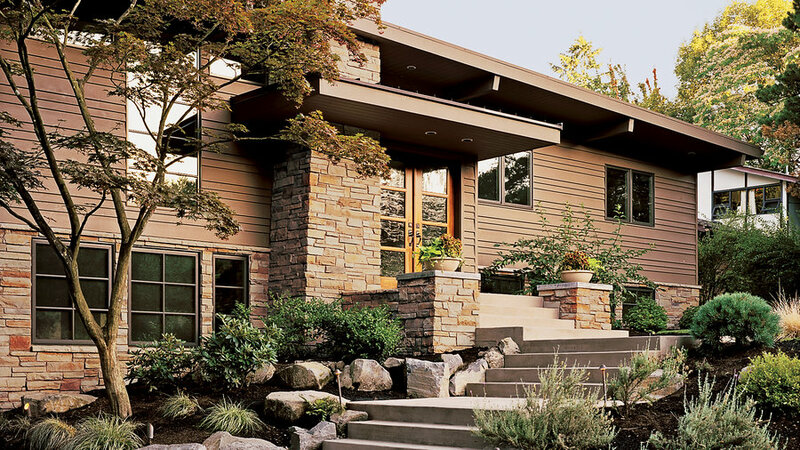 Muted earth tones link the house and the landscape. "When this house was built, the kitchen was only a place to work, so it was a small, dark room," says architect-owner William Hefner. "We wanted a kitchen open to a family room, so we put it at the back of the house. The dining room is now where the kitchen used to be." Now in the kitchen/family room, traditional wainscoting and a coffered ceiling complement contemporary marble counters, glass cabinets, and a stainless steel hood. 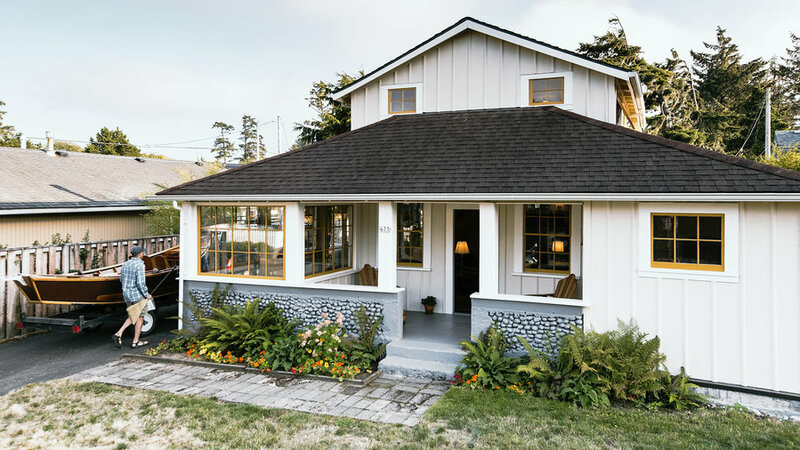 Owners Gus and Stephanie Koven wanted to find a cost-effective way to unite the original 1,000-square-foot bungalow and its backyard. "You literally had to duck through a tunnel-like door and meander down steps to access the garden," says Gus, a sound designer and avid gardener. 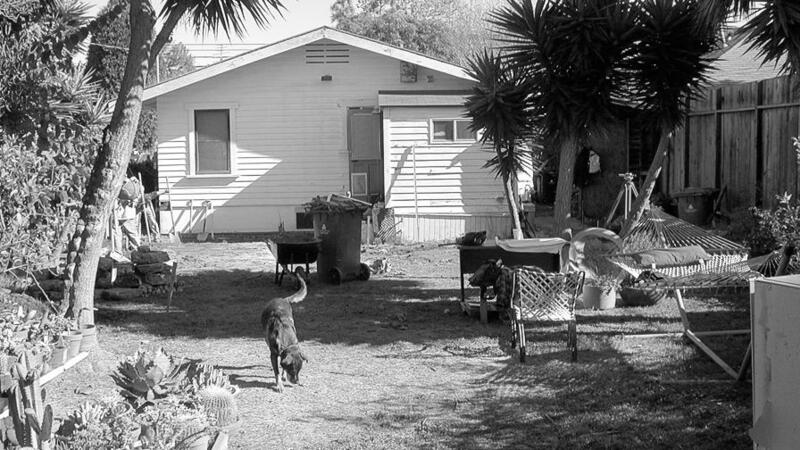 "The only view of the yard was through a small window in the bedroom." Now sheets of 16-mm. clear polycarbonate open this dark little bungalow to its garden. Call it too much of a good thing. The 154-year-old Victorian in Napa, California, was bogged down with layers of wallpaper ― even on the ceiling ― and saturated with a disturbing amount of bright blue paint. Homeowner Kimberley Nunn created a welcoming entry hallway with creamy white walls that contrast with the dark floors and staircase. 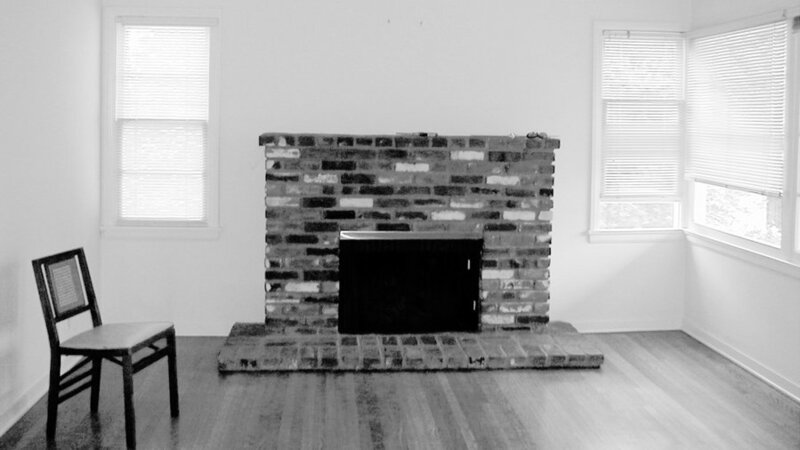 A dark brick fireplace and paneling made this old kitchen gloomy. Removal of the old fireplace wall allowed for expansion into the garage and flanking windows flood the room with light. 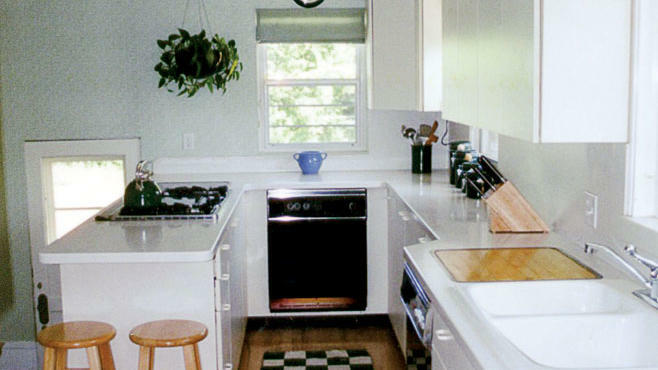 The narrow U-shaped design of the all-white kitchen trapped an oven between the counters. There was barely room for two stools at the counter end. Warren and Jennifer Lloyd turned a cramped alcove into an inviting dining nook by borrowing room from a closet (located opposite the original freestanding counter) and rearranging the appliances. 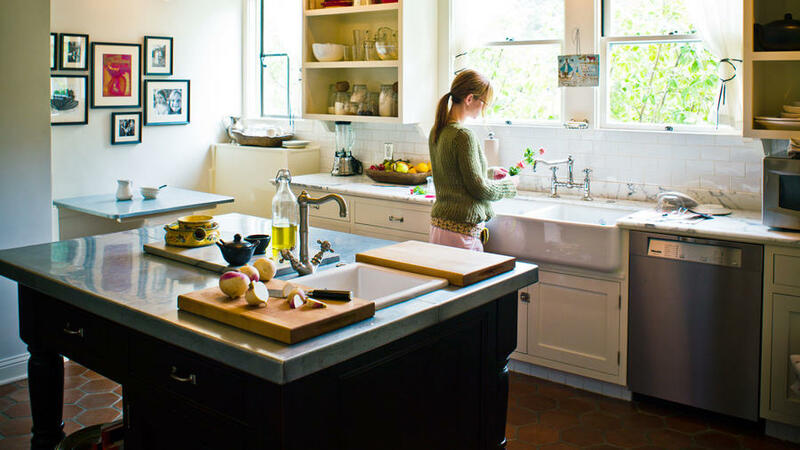 "We gained just 15 square feet, but the kitchen feels triple the size," Jennifer says. 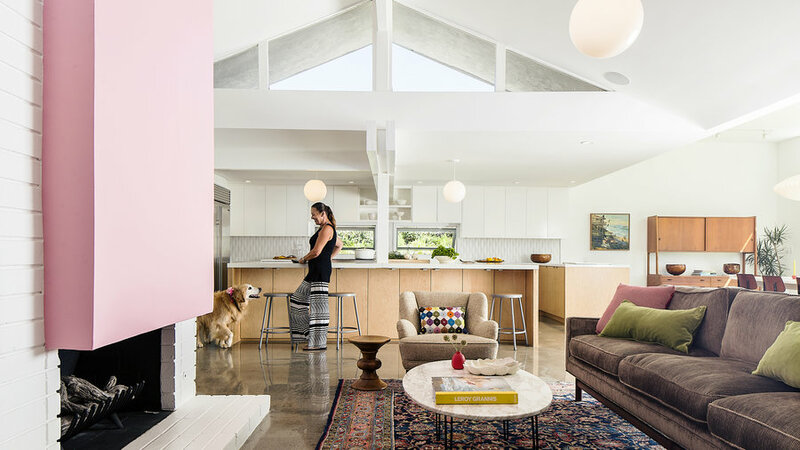 With a few subtle changes ― done without altering the floor plan or developer Joseph Eichler's basic post-and-beam aesthetic ― architect Anne Phillips transformed this space into something fresh and lively. 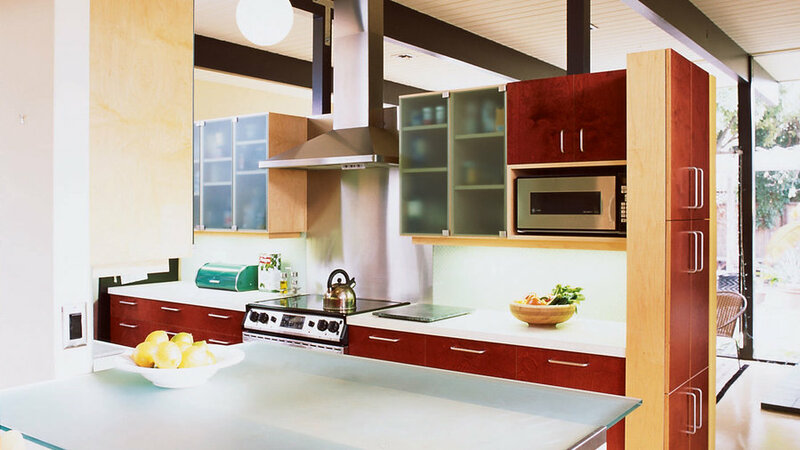 More light and openness, the latest appliances, and a richer color palette give this kitchen new life while preserving its midcentury-modern character. 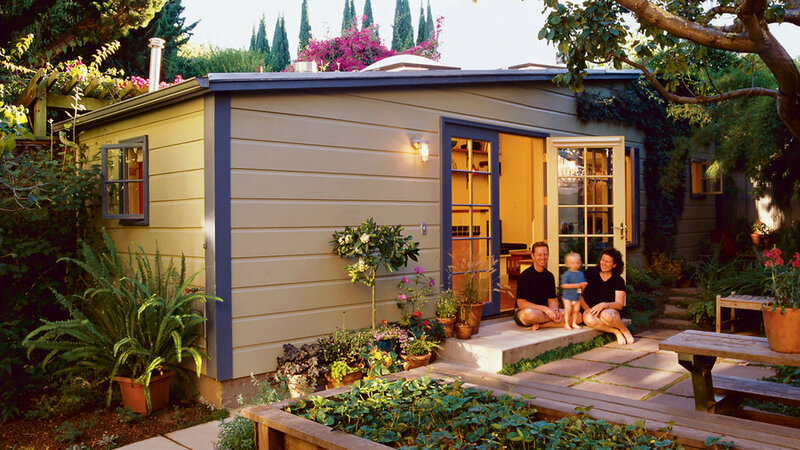 Evan Sagerman and Marci Riseman needed extra space for a guest room and entertaining area, and they found it in an unlikely place: a tiny, ramshackle shed in the backyard of their San Francisco Victorian home. The couple decided to remodel the shed, and it became an exercise in preservation and space planning. They looked to boat cabins for design inspiration. "I grew up sailing," Sagerman says. "Being on boats taught me how important it is to give things in small spaces multiple functions." 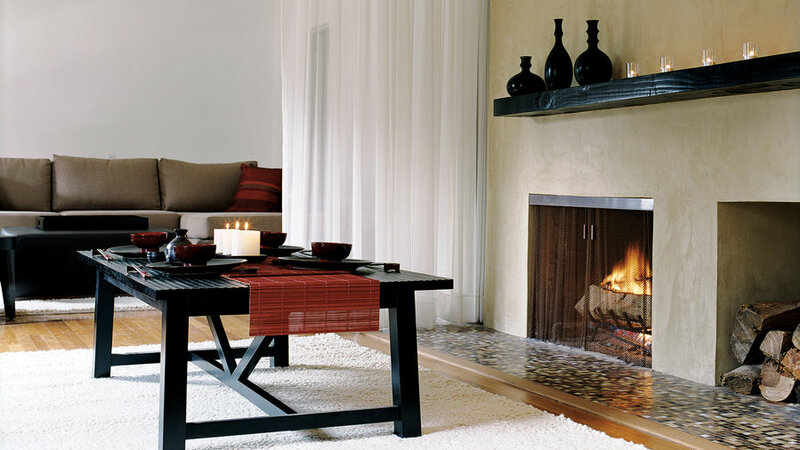 A cozy lounge reminiscent of a martini bar was Pasadena homeowner Carolyn Powers's wish. 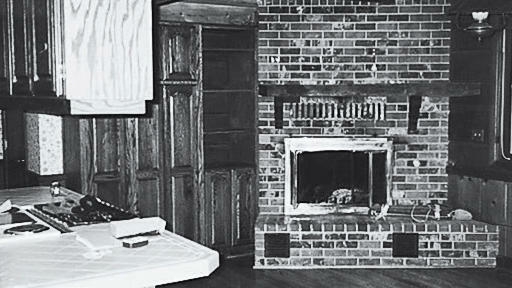 The reality, however, was a charmless room with a dated fireplace covered in brick and hand-painted drywall. To achieve her dream of a glamorous hideaway, Powers turned to designer Jennifer Charleston, who began by extending the fireplace 6 feet along the wall and adding a mantel and storage cubby for firewood. Now the front entry hints at the creativity to come. Architect Jonathan Feldman increased livable space ― but not the home's footprint ― by smartly reconfiguring an existing structure. 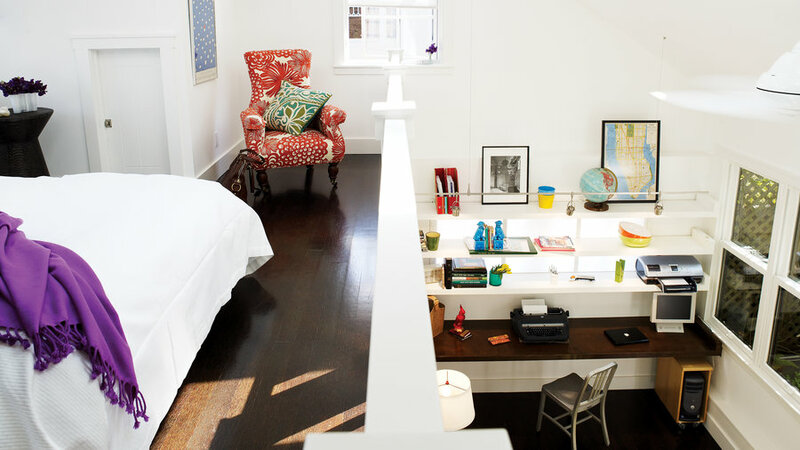 Feldman transformed half of the detached structure into this 400-square-foot guest room and office. These two tiny houses, each measuring 640 square feet, sat next to eachother for more than 80 years. 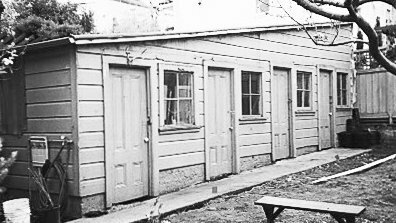 The one-bedroom cottages were smaller than any other homes in the working-class neighborhood of Albany, California, and it seemed the only way to expand either one was to build up or start over. That was until artist Michael Shemchuk drove by. 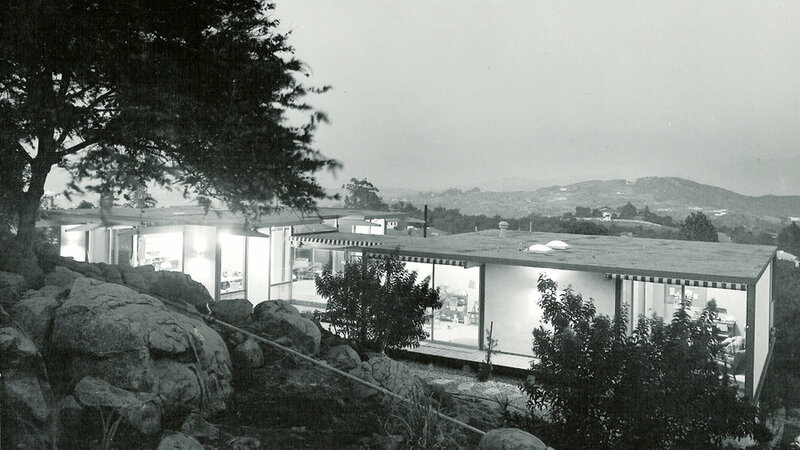 Now the house is a colorful, contemporary gem, with a stunning dining room where the driveway used to be. 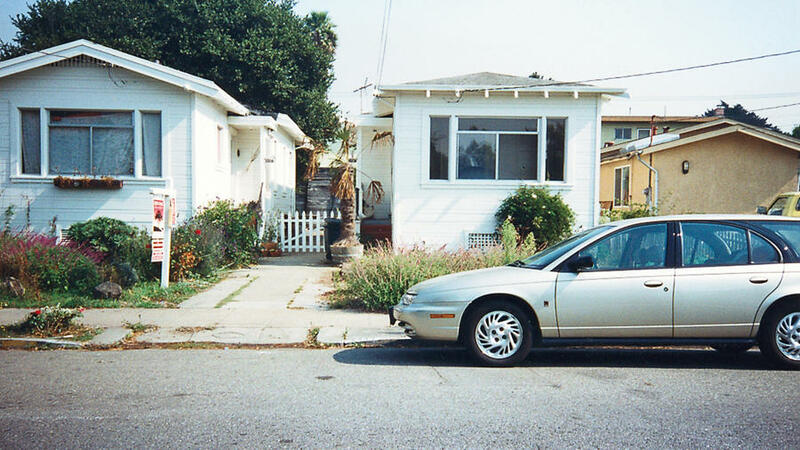 The remodel is low, unobtrusive, and in scale with the rest of the homes on the street. The light-diffusing glass brightens the interior while creating privacy. 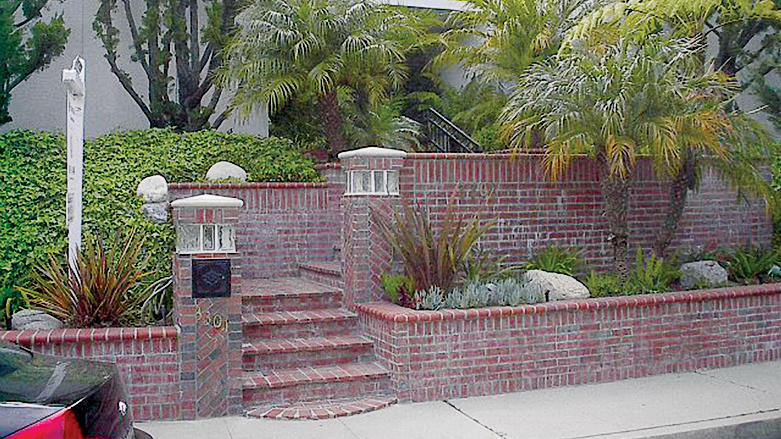 Overgrown ivy and brick retaining walls cluttered the front of this home in Sherman Oaks, California. 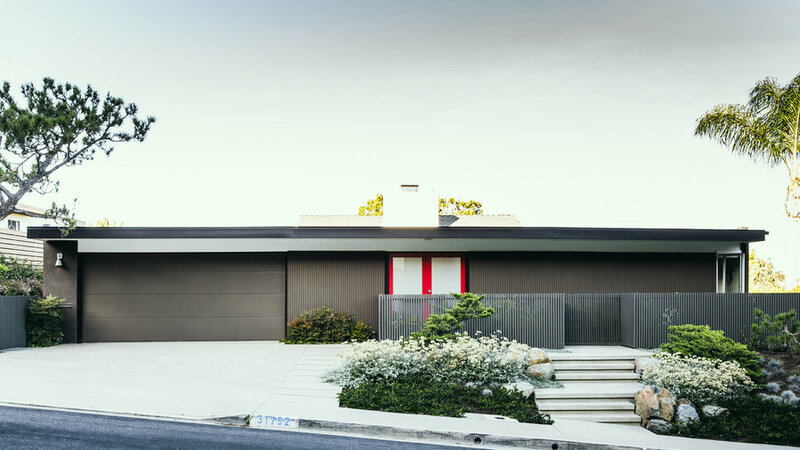 For Guy and Jennifer Genis, renovating their midcentury modern home meant returning to its roots. Their goal: to unearth the original design features while endowing the space with ease and comfort. 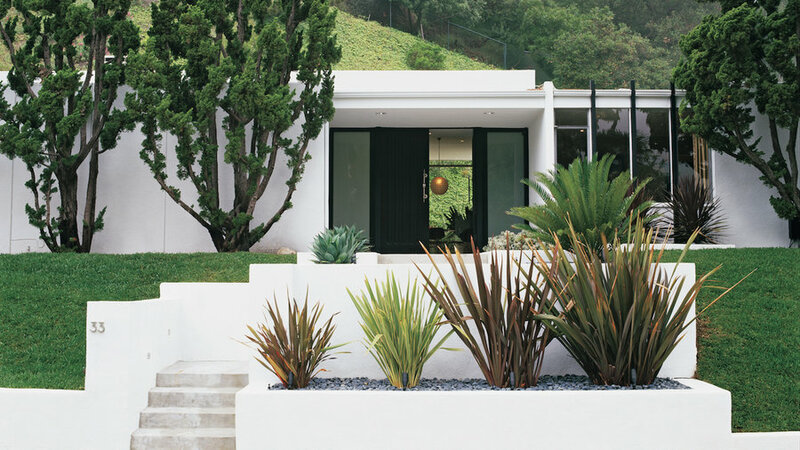 Outside, the stripped-down symmetry of the front entry is set off by a row of phormium flanking the sidewalk.